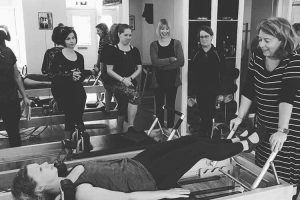 PSI Owner and Co-Director Lauren Stephen recently traveled to teach classes and present workshops for teachers and clients and a workshop for instructors at The Pilates Studio Swansea in Wales on September 22 & 23. 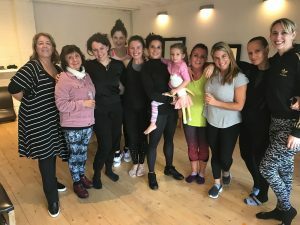 While in the UK, she also caught up with Daria Pace and Sari Meijia-Santo (Romana’s daughter and granddaughter) at Kinetic Pilates in London. 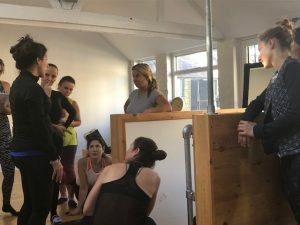 While in London, Lauren taught an Apprentice Class as well as lessons to clients and teachers. Lauren, Sari, Rebecca (owner of Kinetic Pilates) with all the new apprentices and Daria and Viva (center). 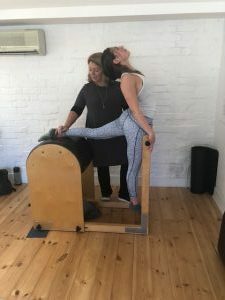 The apprentices had just completed their Basic Romana’s Pilates Seminar with Daria. 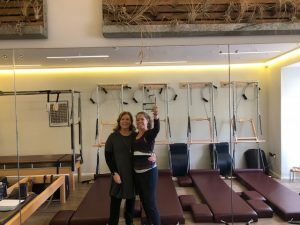 Lauren and upper-level apprentice Saskia at Kinetic Pilates in London. 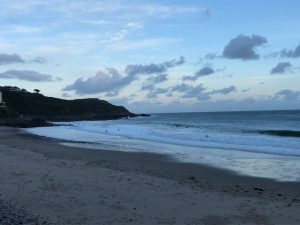 Beautiful Wales. 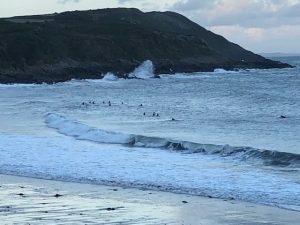 The Pilates Studio of Swansea is actually located in a town called The Mumbles.